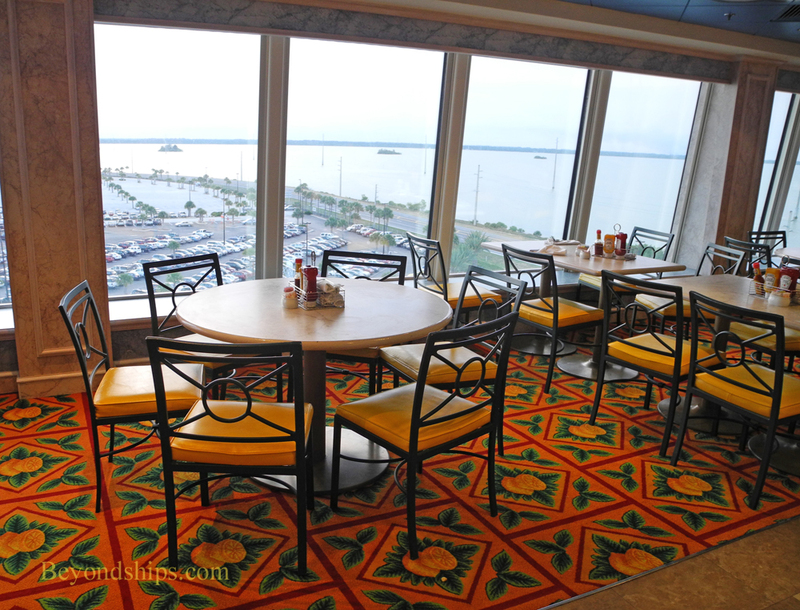 Another alternative to the main dining rooms is Jewel's casual dining venues. There is no cover charge for these venues. 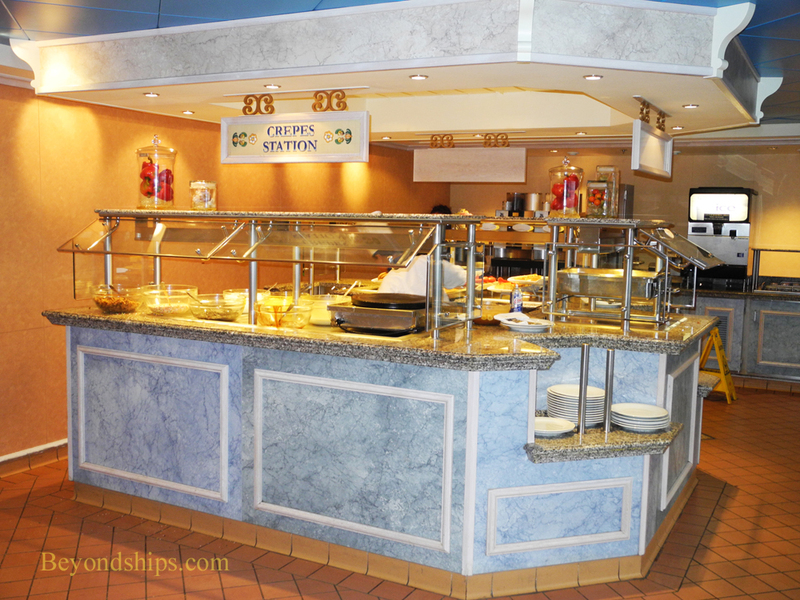 Jewel's large casual dining venue is its buffet restaurant, the Garden Cafe, on Deck 12. It is open for breakfast, lunch and dinner. At the aft end of Deck 12 is the Great Outdoors. As the name indicates, this is the outdoor part of the buffet restaurant. A more intimate casual venue is the Blue Lagoon. 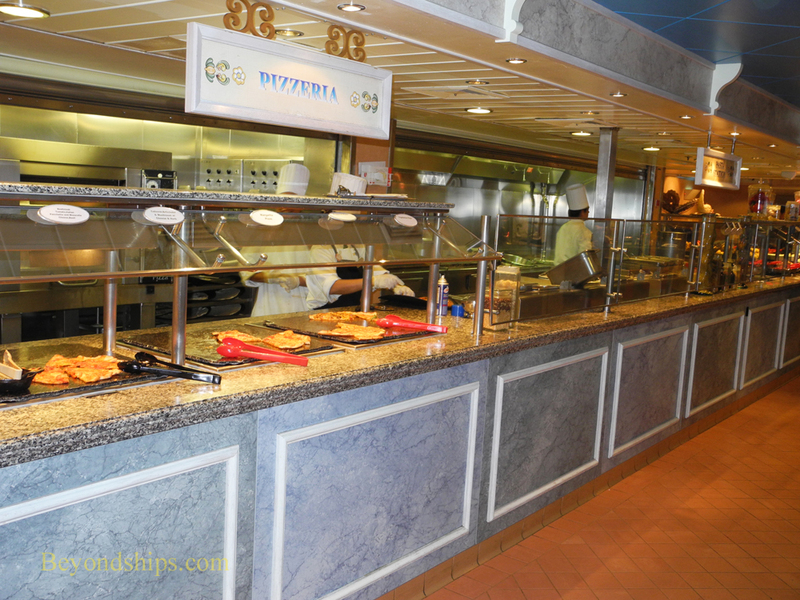 Norwegian Jewel seeks to accommodate guests who are on restricted diets. "We find ways of making them happy and giving them good variety. The main thing is to talk with us and we can make things happen bcause we have the possibilities." "Any one with dietary restrictions, we will assign them a maitre d' who is going to be the contact person that they can talk to. I get a list with requests even before the cruise - - people who are gluten-free or lactose-free, nuts-free, etc. Then there are people who come on board, who don't tell us [about their restrictions]. But anybody who comes to us and tells us, they will get a contact person and we will cater to their needs. Most things we can do."